I will be building a simple application that shows the basic information about a user and this tutorial is to give an head start to using MoonJs. Create a folder called src and create another folder inside it called js then create a file called app.js in the the folder. 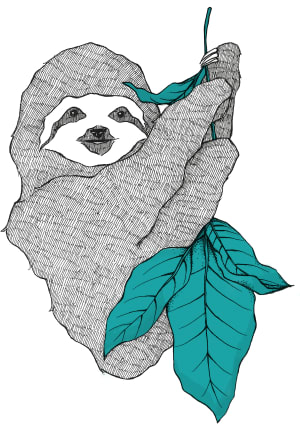 In the file, we will be initiating an instance of MoonJs to display “Hello Pusher of Codes”. We will achieve this by adding the following codes below to the app.js file. 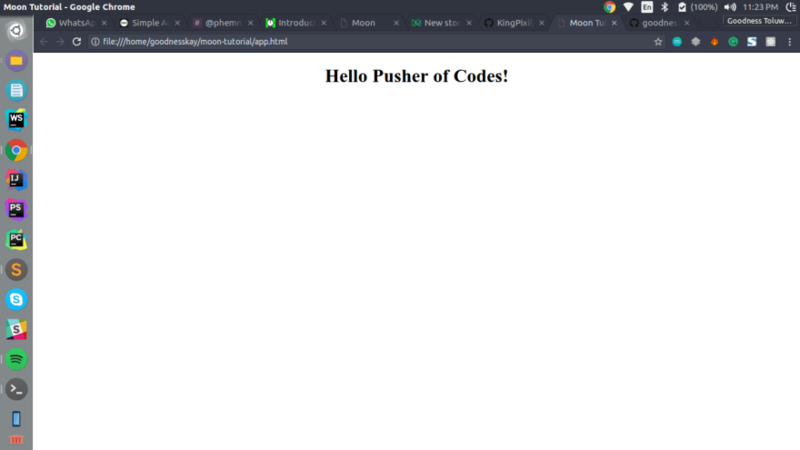 message: "Hello Pusher of Codes!" 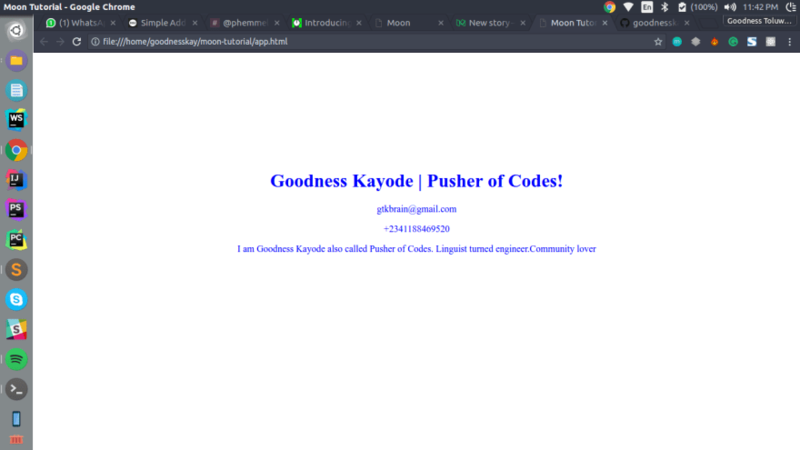 short_info:"I am Goodness Kayode also called Pusher of Codes. 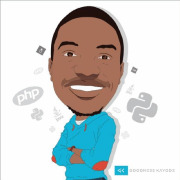 Linguist turned engineer.Community lover"
Yupp!!! With this you should have an head start to creating applications with MoonJs. I hope you enjoyed the tutorial? 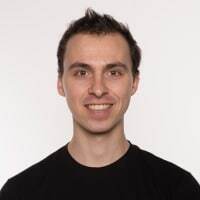 I just scratched the surface of the framework but this tutorial will help with teaching you how to setup a MoonJs application and how to write a basic application with the framework.